Have you heard about Formoline L112? No? Well I will tell you all about and how 10 of you lovely readers will win a pack of 48 Formoline L112 48 tablets. 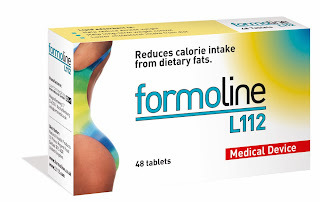 Formoline L112 is the number 1 selling slimming product in Germany. Results show a possible weight loss of 15lbs (7kg) in a 4 week period. Formoline also gives a feeling of fullness which means you consume fewer calories, which is great if your a picker like me. Formoline L112 is suitable if your a diabetic as there is no carbohydrate exchange value and it can also help lower cholesterol intake. Whether you want to use Formonline as part of a weight loss regime or even for occasional use when keeping count of your calories is a little bit more tricky, it will help with your overall intake of fat. 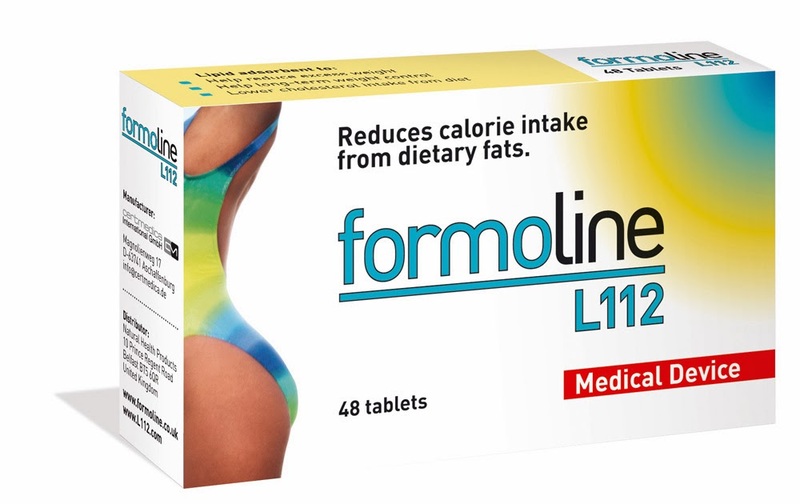 By using a naturally derived fibre that binds with fats, Formoline L112 reduces the overall calorie intake from food by removing a significant proportion of dietary fats at source, in the stomach. Unlike some fat-binding supplements formoline doesn't require you to be close to a toilet all day long. It works specifically on fats (not sugar-based foods or carbohydrates) so is most effective when calories are derived from a diet rich in processed foods that contain large amounts of saturated fats and trans fats.